When Jacalynn Stuckey's professor father cheerfully announced that the family was moving to Canton, Ohio for him to become a professor at Malone when she was in eighth grade, she was not happy. And by the time she was college age, she was pretty determined NOT to attend Malone College after high school graduation. "However, my dad asked me to give Malone a try for two years, and if then, I did not feel comfortable there, he would support my decision to transfer. 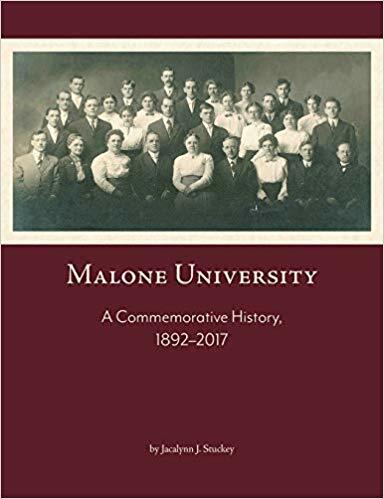 Wise man, that Jim Stuckey," she wrote in her introduction of Malone University: A Commemorative History, 1892-2017. "Not only did I receive an education at Malone that would serve me well, I become a part of a community that truly does manifest love and concern for its members and the world beyond." 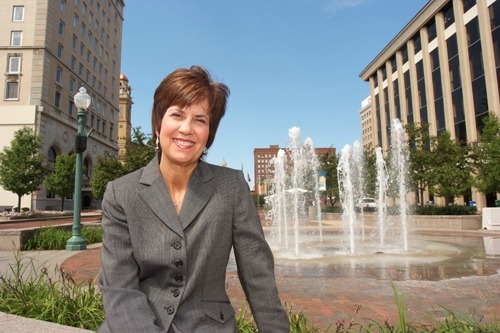 With her passion for Malone in mind, President David King commissioned Stuckey to write a history book that would offer readers a thorough, educated, and lived perspective of the institution. "I have such appreciation for Jacci's heart for Malone and her excellent work," said King. "There are few who know Malone quite like she does, and this book is a gift to our community for generations to come." The work, illustrated with photographs from its earliest days, is now available in Malone's Campus Store in both hardbound and paperback editions. "Throughout the process of writing this book, I came to appreciate more fully the history and legacy of Emma and Walter Malone and their school," noted Stuckey. "Within these pages, I have tried to include as much of the Malone narrative as I could in hopes that readers will find some personal connection with their own Malone stories."